Getting to Old Faithful is a task within itself. It’s a mission. It’s an hour drive from the nearest entrance into Yellowstone National Park. A drive without restaurants, hotels, or gas stations. 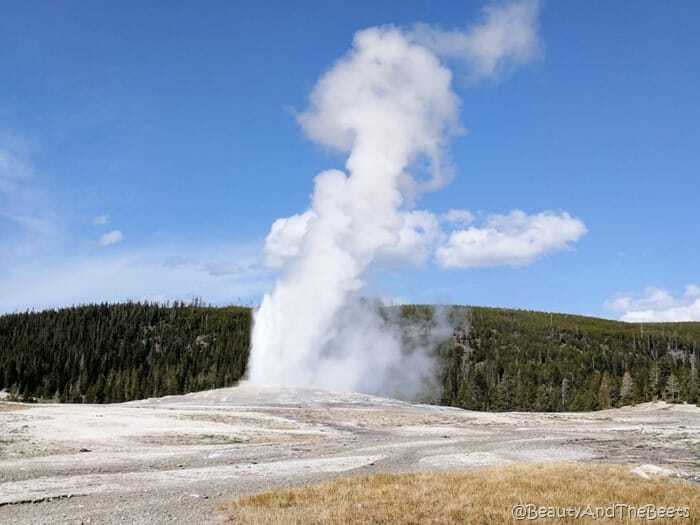 So by the time you have stopped to take pictures of all the beautiful scenery along the way, then arrive at the Old Faithful Fountain, then wait up to two hours for the eruption, one is hungry. The food is fairly limited throughout Yellowstone National Park. Restaurants are mostly found within the park lodges so when you find a lodge, it’s a good idea to eat since it could be hours before you get to the next one. At the Old Faithful Snow Lodge, there are a few options ranging from fine dining to casual grab and go. 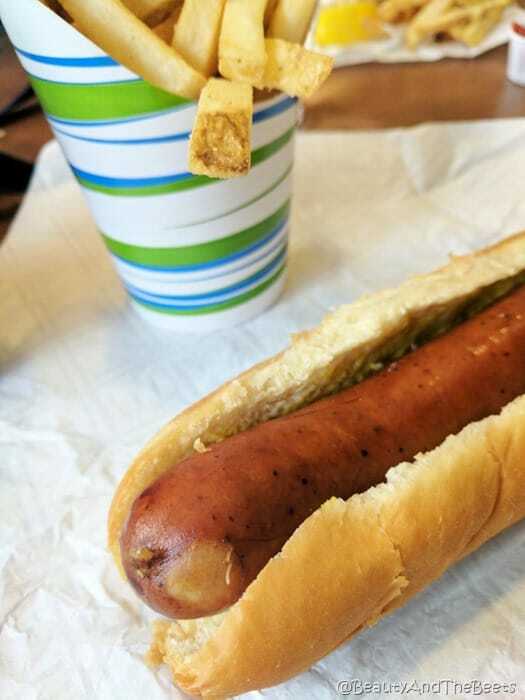 I found a place called Geyser Grill – a quick service restaurant that serves sandwiches and fries. There are beef burgers, chicken sandwiches, salmon burgers, and black bean burgers – a little something for everyone. Though I normally eat Veggie burgers and fish, I felt that “when in Rome” moment and decided to try the Smoked Bison Bratwurst Sandwich. It was gamey but delicious. Smokey and gamey. 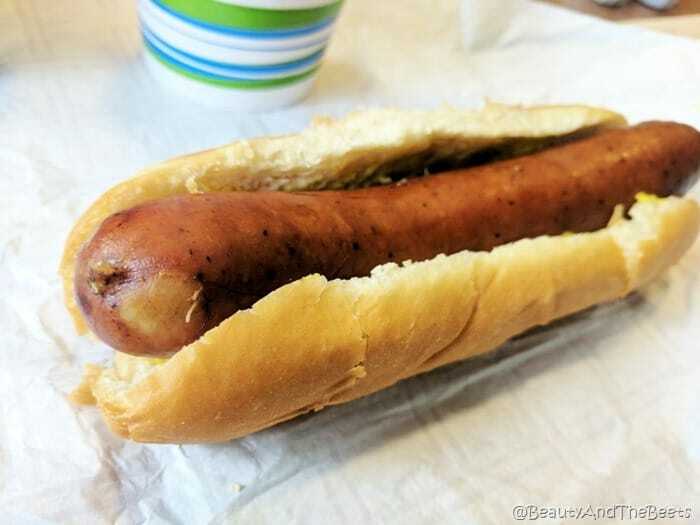 I actually really liked it, better than an all beef dog. It wasn’t too spicy either. I just added a little bit of mustard to my bison so as not to overpower the taste. I liked the Geyser Grill, the service was friendly and efficient. The dining area was small, I would imagine it would be rather crowded during the peak season. However, it was very clean and well kept. A great little place to grab a quick lunch before continuing your drive through the Yellowstone National Park. 4 1/2 out of 5 sprouts.